The Shakespeare plays are populated by many truth-tellers wearing the masks of Fools, most played in turn by Richard Tarleton, Will Kemp and Robert Armin, each actor becoming increasingly more sophisticated in his clowning as the author’s characters grew in their complex humanity. 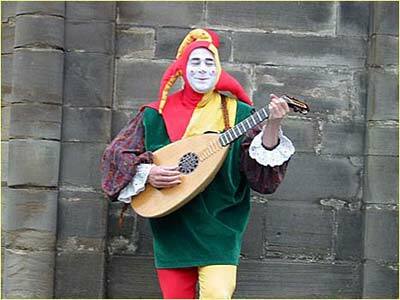 Fools existed from ancient history all the way up to the contemporary jesters of European royal courts. In Shakespeare they appear in all sorts of masks, but what many of them have in common is their ability, within the dangerous setting of the court, to speak truth to power. Touchstone in As You Like It and Feste in Twelfth Night are the best-known examples of court jesters or Fools given the authorization to speak freely. 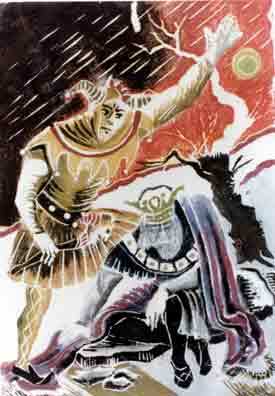 [King Lear’s nameless Fool is “all-licensed,” as Goneril puts it.] In our own time, Jon Stewart of Comedy Central may have the most similar function, that is, the job of running spears of truth through the guts of our politicians while making us howl with laughter – a function that even the most powerful officials apparently, if often grudgingly, must allow. In the new book of essays A Poet’s Rage, edited by William Boyle, a paper with insight into the Shakespearean Fools, written twenty years ago by his brother Charles Boyle, remains just as important to the authorship debate as it was back then. In a discussion about Troilus and Hamlet as characters, Boyle emphasizes that Shakespeare’s world revolved around the royal court and that his audacious political satire was made possible only by the clever use of thinly disguised allegory. Number 76 of 100 reasons to conclude that Edward de Vere, Earl of Oxford was “Shakespeare” is that he himself, as Boyle writes, “enjoyed the protection of some great patron” [Queen Elizabeth] and was “the most amazing court jester who lived.” And perhaps, he also writes, there is no character called “The Fool” in the play of Hamlet, his most autobiographical character, because Hamlet himself is The Fool. Traditional scholars, believing the author to be the Stratford fellow named William Shaksper, have been forced to shy away from seeing Polonius as a satirical portrait of William Cecil Lord Burghley, chief minister to Queen Elizabeth and the most powerful man in England until his death in 1598. The reason, of course, is that for William of Stratford upon Avon to satirize Burghley in such a bold, ruthless manner would have been suicidal. He would have lost more than his writing hand. The notion that Shaksper was the author “has stymied all reasonable inquiry into Shakespeare’s relationship to the world he lived in and his favorite setting, the court,” Boyle writes – because clearly the author of the Shakespeare works did live in the world of the court and, not surprisingly, he did write about the intrigues of that contemporary world. 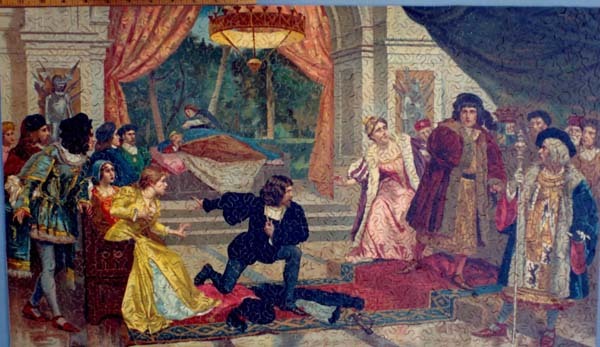 Polonius is referring to the play by which Hamlet has been able to “catch the conscience of the King” by means of allegory – having presented one story that seemed harmless while, in fact, revealing the dangerous news that Claudius had murdered Hamlet’s father the previous king. This play at court, for which the prince inserted the crucial lines, is but the latest of his “pranks” that have pushed the chief minister beyond his limits. But Polonius is also angry, even angrier, at the queen. Unable to accuse her directly, he urges Gertrude to tell Hamlet that his antics will be no longer tolerated; more to the point, the Queen should confess to him that she herself is the reason he gets away with his madcap behavior. She has “screened” her son from the fury of others. She has “stood between” the prince and the wrath of the court against him. Once Oxford is viewed as the author, it becomes clear that Hamlet is his most self-revealing character and that the Court of Denmark represents the English court. There can be no more doubt that Polonius is a caricature of Burghley, who was Oxford’s father-in-law, or any question that Gertrude represents Elizabeth. And from there it’s a very short step to the recognition that, in fact, the Queen of England had protected Edward de Vere in the same way, having “screened and stood between much heat and him” – primarily because of his satirical comedies and other truth-telling plays, performed at her court from the 1570s onward. Elizabeth wanted – demanded – such entertainment. The female monarch who loved the cruel spectacle of bear-baiting was the same powerful woman, with absolute rule, who feasted upon Oxford’s stinging portraits of the members of her court – not to mention his various characters in which she could recognize herself as well, usually in the form of a flattering portrait. 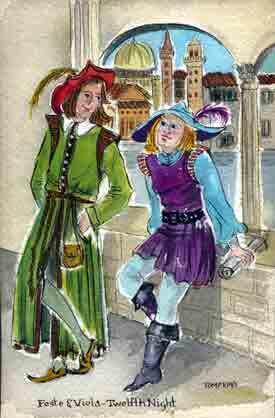 Her Majesty encouraged Oxford to function as her “allowed fool,” as Olivia calls Feste the clown in Twelfth Night. Telling Malvolio to shake off Feste’s barbs, she reminds him that the jester uses his biting wit because she allows him to do so: “There is no slander in an allowed fool, though he do nothing but rail.” Olivia has given Feste permission to slander others; and because her command is law, it follows that Feste’s slander cannot be slanderous. Hamlet is a prankster, jester, clown; he is a Court Fool with permission to say what he likes, even to put on plays that tell the truth about royal crimes. Gertrude has given him the freedom to criticize or make fun of high-ranking persons, right up to the King himself, without suffering repercussions. So the character who speaks with the playwright’s most authorial voice actually describes himself as the Court Fool – a role that Edward de Vere is on record as playing at the Elizabethan royal court, from his high-step dancing for the Queen to his early signed poetry to his reputation as “best for comedy” for the court stage, his playing of the lute and singing for Elizabeth, and so on, not to mention a number of escapades for which, otherwise, he would have been punished. Well … of course … Falstaff!